A look at a newly-completed Niemann’s CountyMarket storefront. Niemann Foods, Inc. (“NFI”) is an employee-owned, family-run company headquartered in Quincy, Illinois. Brothers Ferd and Steve Niemann opened their first grocery store in 1917, and within a decade, the brothers had opened 10 more. In 1940, they launched their first ever full-service supermarket in Quincy, IL. Today, NFI is run by Rich Niemann, employing around 4,000 people in more than 100 supermarkets, pharmacies, gas stations, convenience, pet and hardware stores in Illinois, Iowa and Missouri under a variety of banners: the County Market, County Market Express, Cub Foods, ACE Hardware, Pet Supplies Plus, Pick-A-Dilly and Save-A-Lot. For nearly 100 years, NFI has focused on providing its customers with healthy and affordable food options. That focus on healthy living is now embodied by NFI’s new Health & Wellness Team, which operates a blog forum and two Twitter handles to quickly respond to customer questions about healthy eating and living. 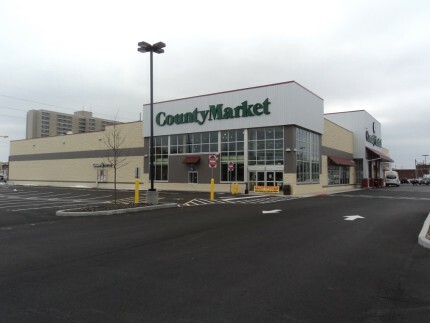 In April, 2014, Crescent Growth Capital worked with Niemann Foods, Marine Bank, Hampton Roads Ventures, and PNC Bank to close a combined $8,000,000 Federal QEI to finance the construction of a new full-service CountyMarket grocery store, convenience store and gas station in Decatur, IL. The project is expected to create approximately 75 full-time jobs, and provide a full-service grocery store, offering affordable, healthy options to a neighborhood that is a USDA-designated Food Desert (low income and few healthy and affordable food options).